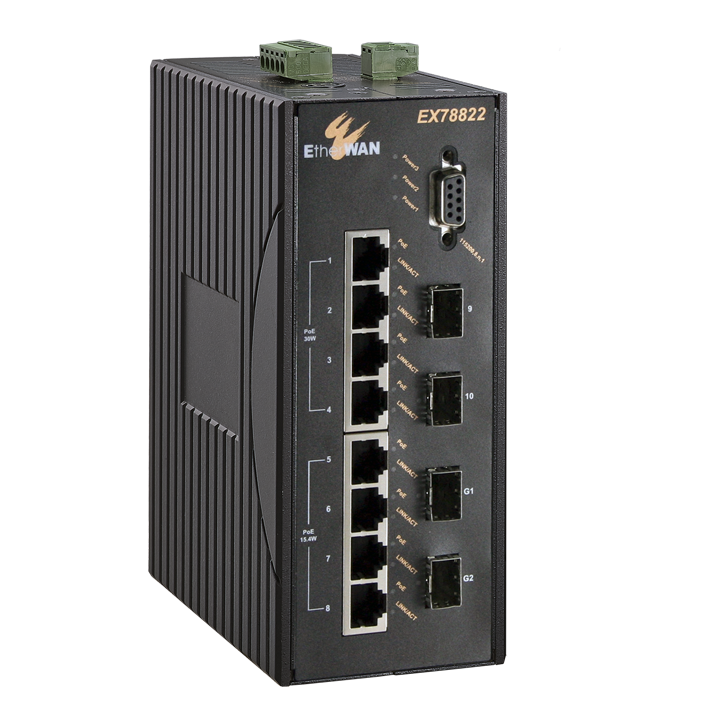 ﻿ Ethernet Switch – EtherWAN – EX78000 – KONČAR Elektronika i informatika d.d. 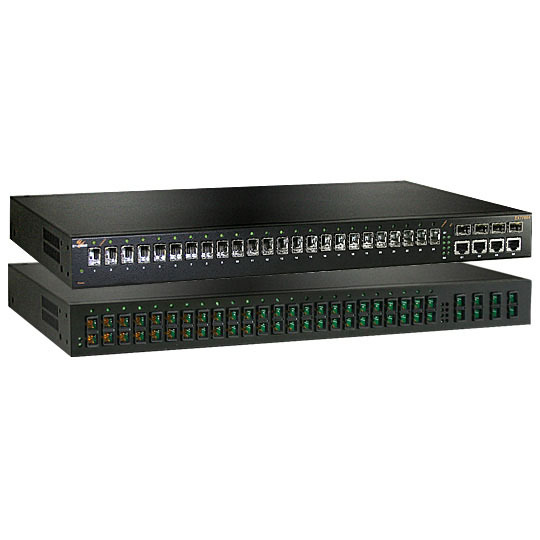 EtherWAN’s EX78000 Series provides a hardened 12-port switching platform supporting IEEE802.3at Power over Ethernet, high performance switching with robust management features required for mission-critical and harsh environments where sustained connectivity is crucial. 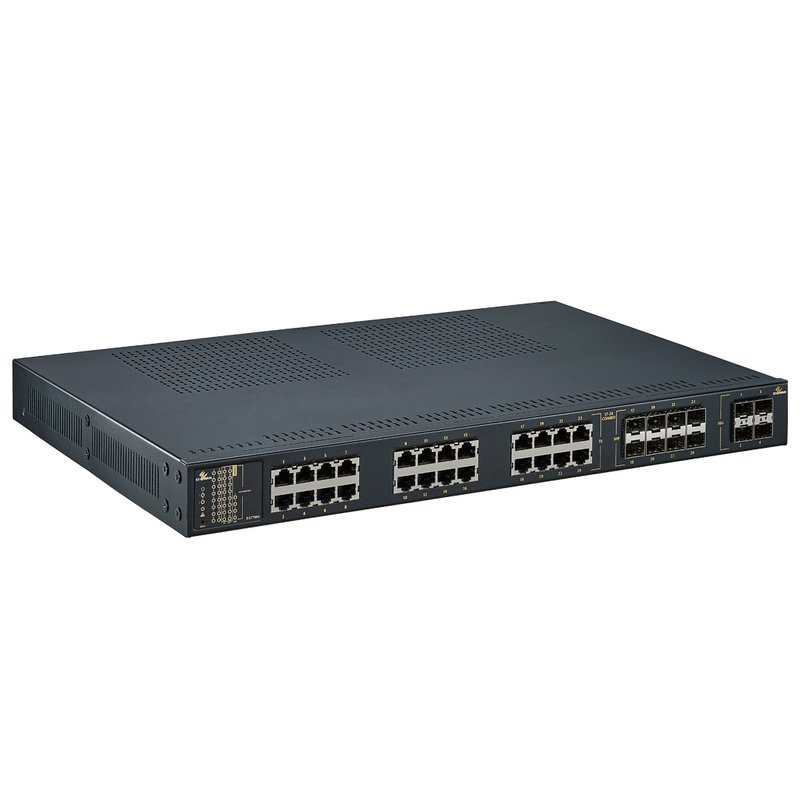 The EX78000 Series is equipped with 8 10/100BASE-TX PoE ports, in combination with two Gigabit SX/LX/BX/WDM Fiber ports with SFP options. 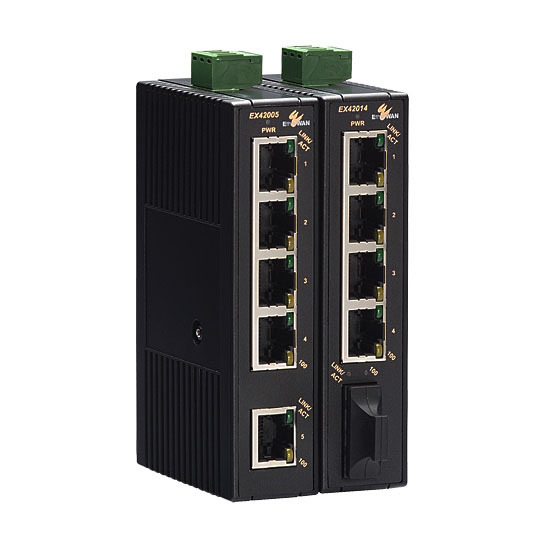 The IEEE802.3at PoE ports provide up to 30W/port with a total power budget of 180W, making the switch truly versatile for connecting with PoE Powered Devices (PD) with different bandwidth and power consumption requirements such as outdoor PTZ dome cameras, wireless access points, and way-side communication devices. 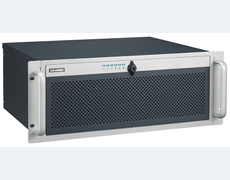 Din rail mountable, the EX78000 Series is equipped with EtherWAN’s Alpha-Ring self-healing ring technology providing less than 15ms fault recovery time. 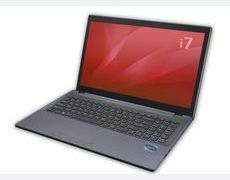 Users are able to access management features such as port security, IGMP snooping, port-based VLAN, GARP protocols, link aggregation an, via web browser, telnet, SSH, SNMP, RMON, TFTP, and RS-232 console interfaces. With the hardened specifications, the EX78000 Series is designed to operate at -40°C to 75°C in harsh environments, where high ESD, shock, and vibration may be present. 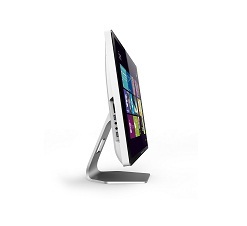 • PoE power budget (depends on power input): 181.6W Max. 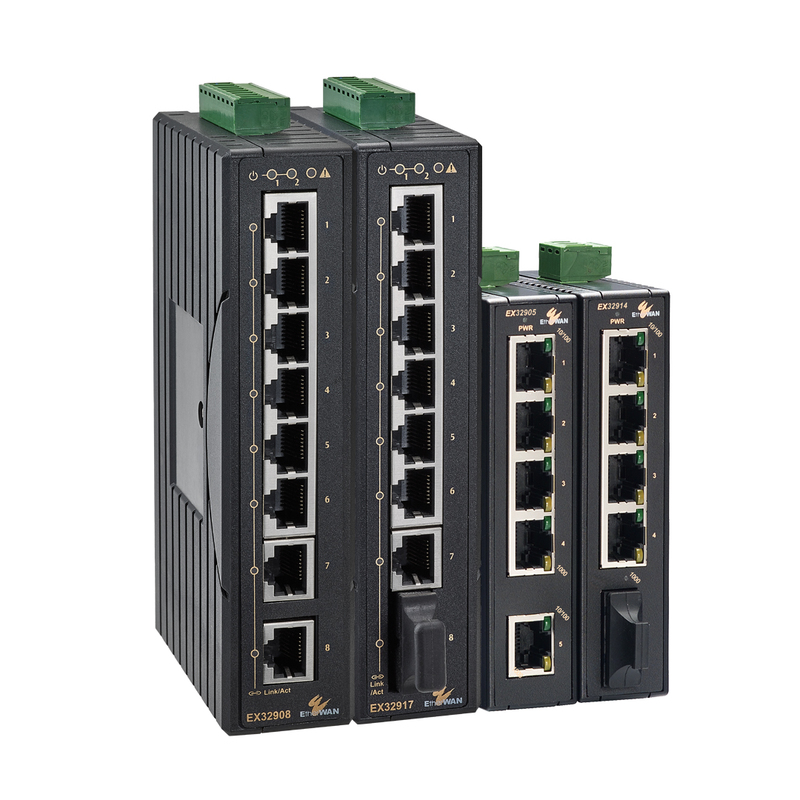 • IEEE802.3af: up to 15.4W/port, 47 – 55VDC.